Die cut Royal Mail Large Letter Box with internal dimensions 225x125x15mm. Pack of 25. This is 1/3 of A4 size for folded letters and stationary. 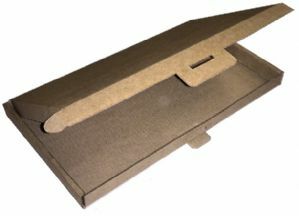 High quality die-cut E-flute (1.5mm) corrugated cardboard. Perfect for storage, postage or display. This box is ideal for posting small items as it fits well within the 350x250x25mm Royal Mail large letter rate. 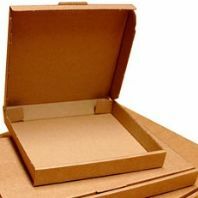 Made from recycled material, our cardboard boxes are manufactured at our factory in York. If this size isn't quite right for you then get in touch as you may find our bespoke service useful if you would prefer a custom box. 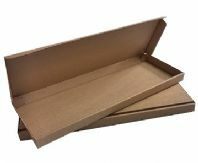 Whether you require it for postage, packaging or storage, we’ll make the box that you need.